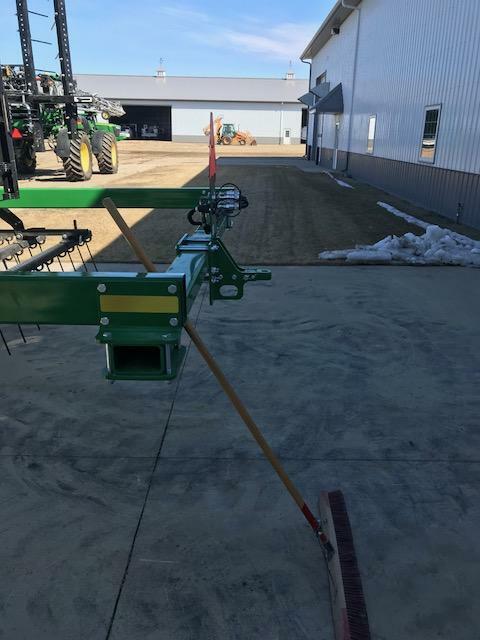 While scrolling through Facebook, Gayle from Graham Tire West in Moorhead, Minnesota, found our blog about how D&K Tire used Alliance 381 flotation tires to solve a chronic blow-out issue one of their customers was having with tires on their cultivator. 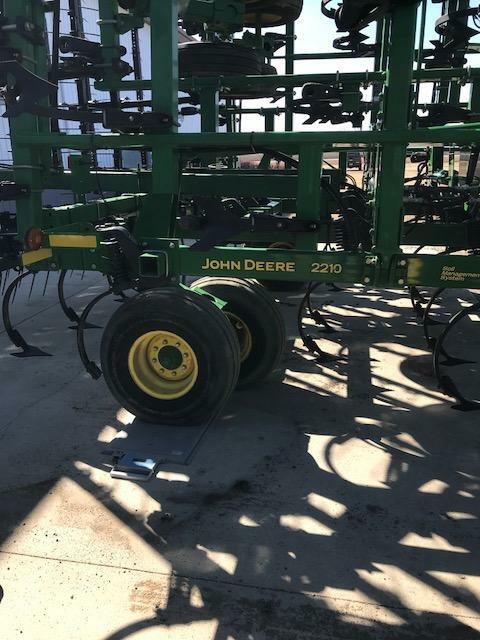 It just so happened that Gayle’s customer at Skaurud Grain Farms (SGF) was experiencing a similar problem with blowouts on the tires that came with their John Deere 2210 cultivator. Despite having already ordered some tires for the cultivator from a competitor, Gayle was interested in the higher speed rating, load capacity, and steel belts offered by the Alliance 381, and was sure his customer would be interested too. With our Tire Tale blog in mind, Gayle asked me, his Alliance rep, to visit the dealership and help weigh SGF’s equipment, and also to discuss some of the unique solutions we at ATG might offer to address the problems they were facing. Obviously, we were happy to help! 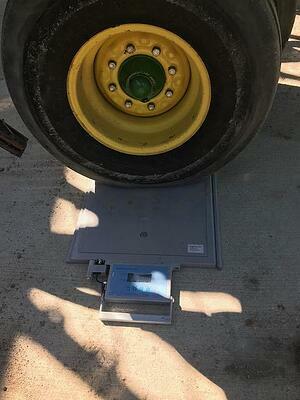 On the scales, the reason for the blowouts was apparent: the OE tires were severely overloaded. A quick measurement showed that the tires were being subjected to 6,300 lbs per tire—roughly 1,500 more pounds than their recommended load capacity. 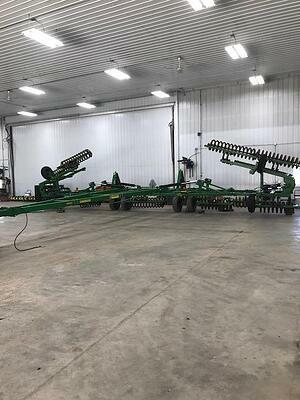 Making the problem worse was that SGF’s John Deere cultivator is equipped with a hitch for pulling coil packers that are used for breaking up the soil. These coil packers were adding weight to an already overloaded tire. 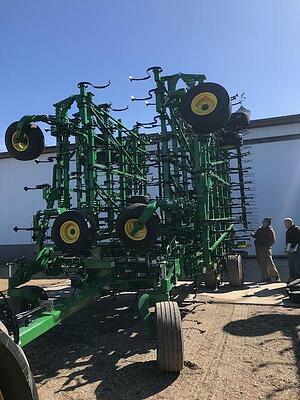 Just like the D&K customer featured in our previous Tire Tale, SGF decided to equip their cultivator with Alliance 381 flotation tires, hoping that the tire’s higher speed rating, load capacity, and steel-belted construction will better meet their operation’s needs and cut down on the frustration of constant blowouts. 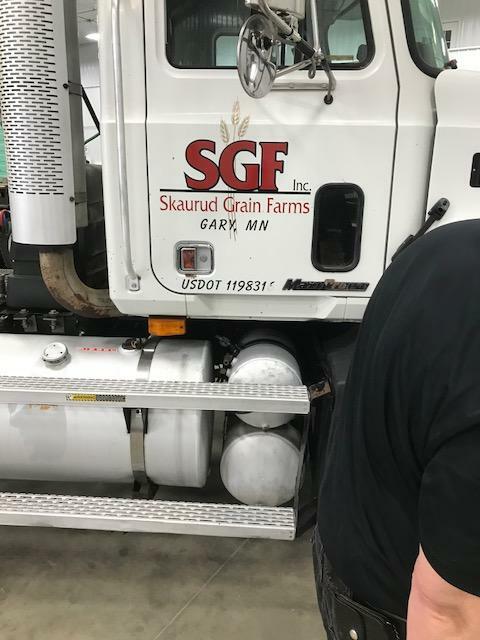 We anticipate hearing that our friends from Skaurud Grain Farms are having great results with our Alliance farm tires, and we're excited to help more customers take full advantage of Alliance’s application-specific tires. We’re all in this together and collaboration is key, so if you have a question about your tires, contact your local dealer, contact us directly, or find us on Facebook or Twitter.